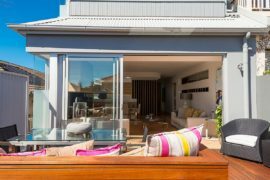 The residential neighborhood of North Shore in Sydney is home to many beautiful houses that range from the contemporary to the classic Victorian structures. 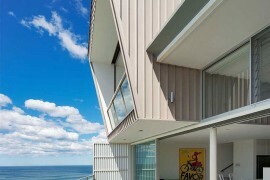 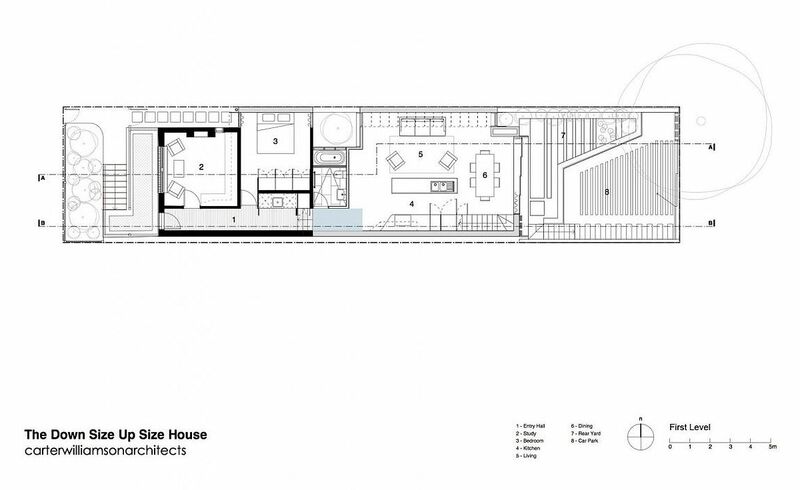 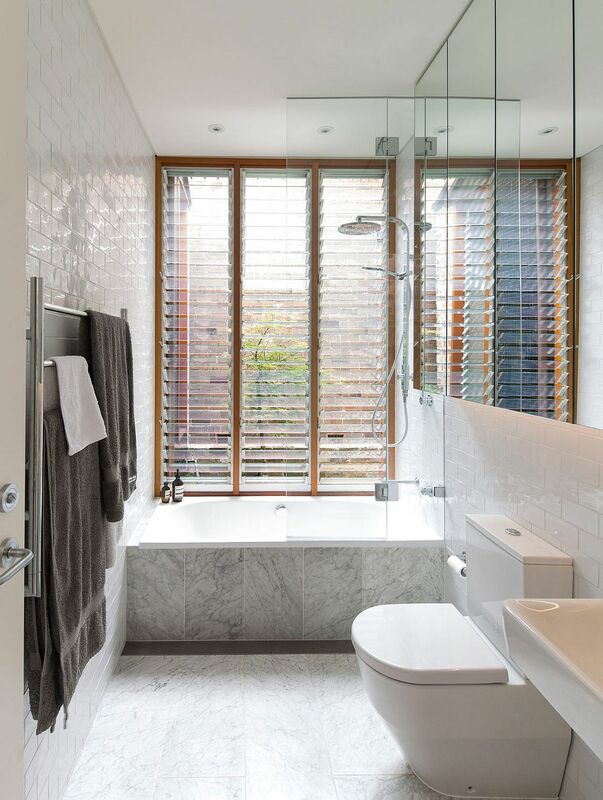 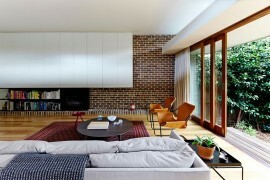 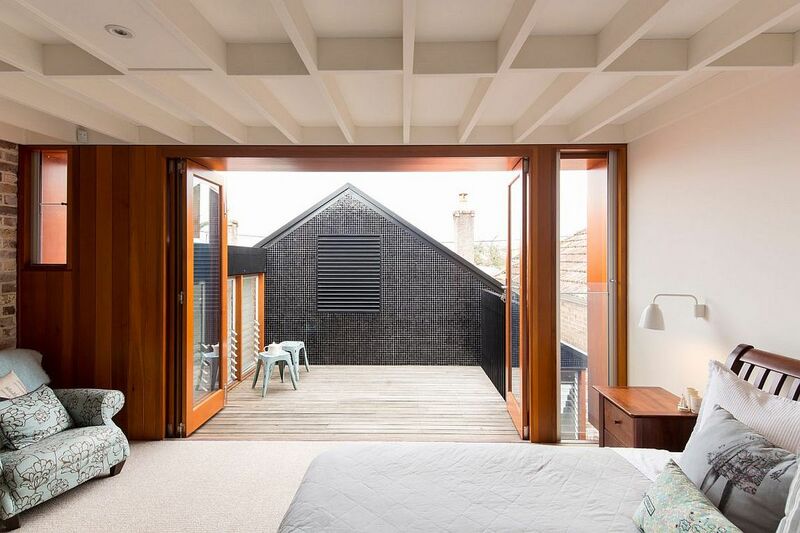 Set in this idyllic backdrop is the gorgeous Downsize-Upsize House designed by Carterwilliamson Architects. 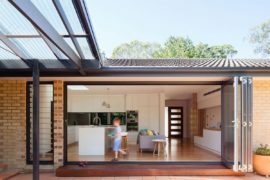 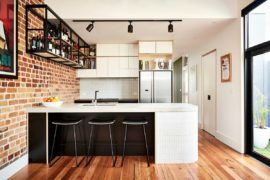 Crafted to meet the needs of a young family that moved to this home from an urban apartment, the residence was designed to be a relaxing, family-friendly interior with an open and cheerful ambiance. 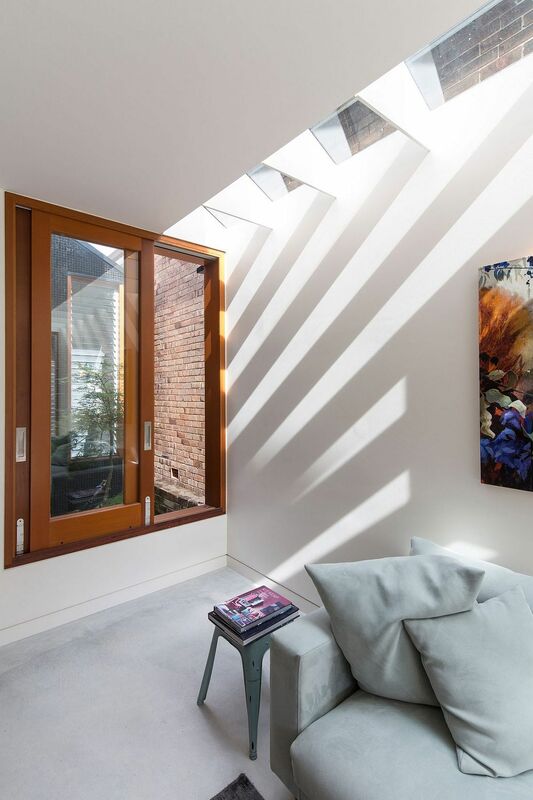 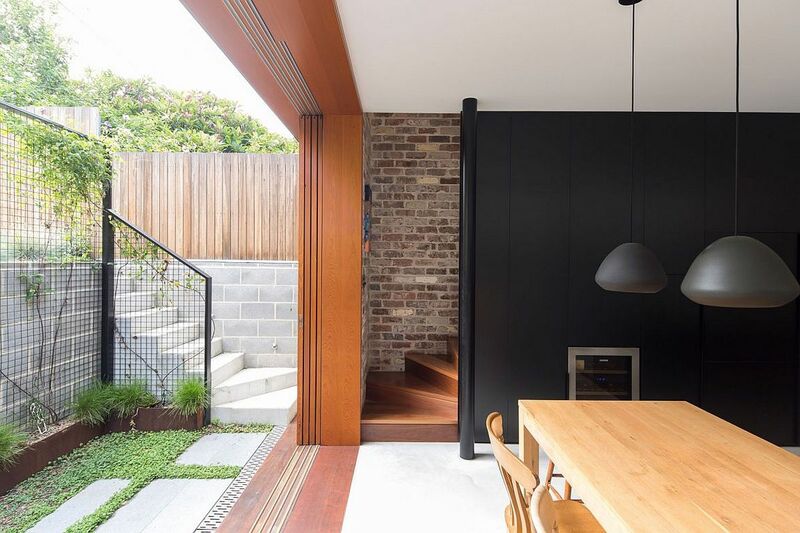 Working on a tight budget, the architects turned to materials that usher in plenty of textural beauty, even while keeping the costs down to a bare minimum. 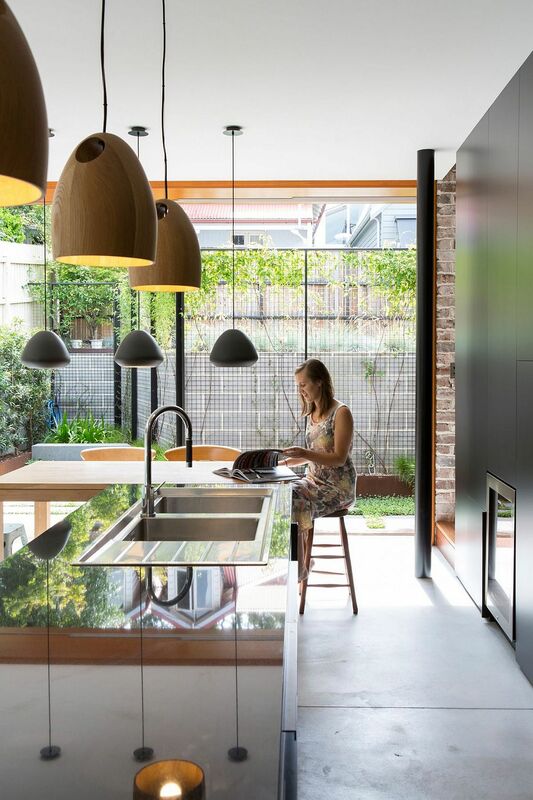 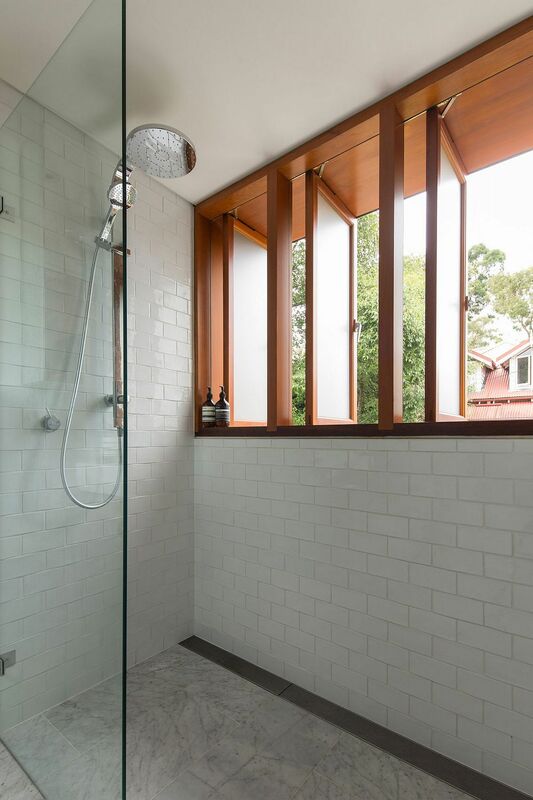 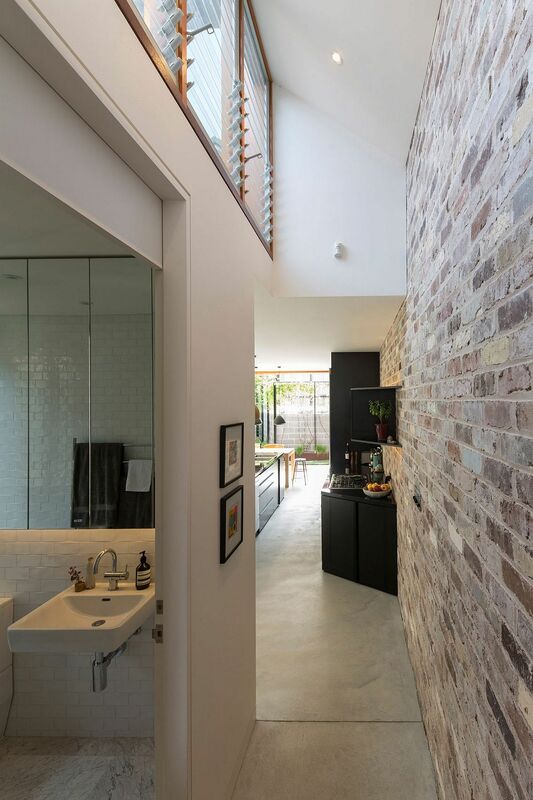 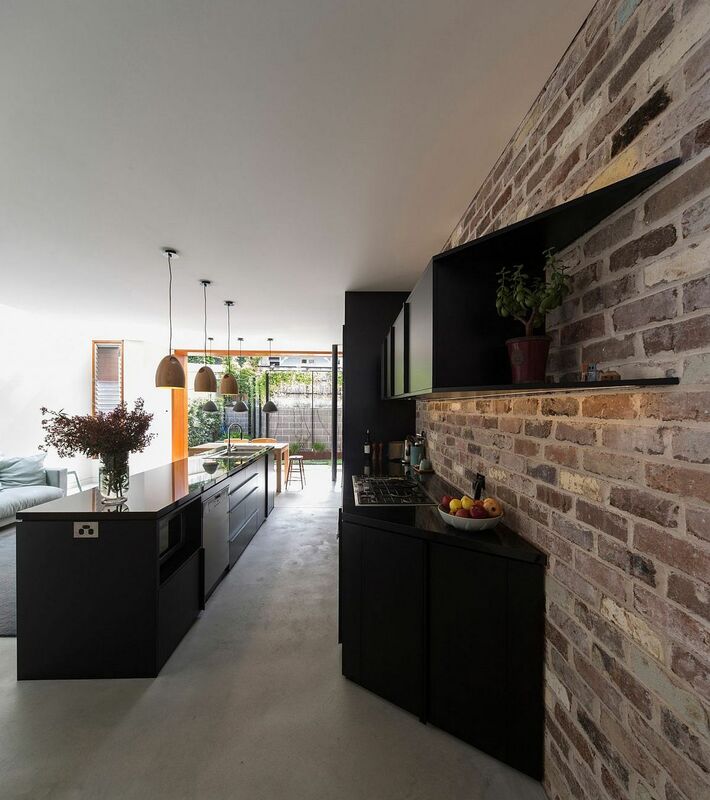 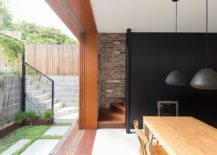 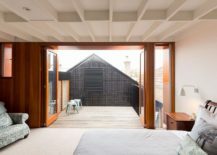 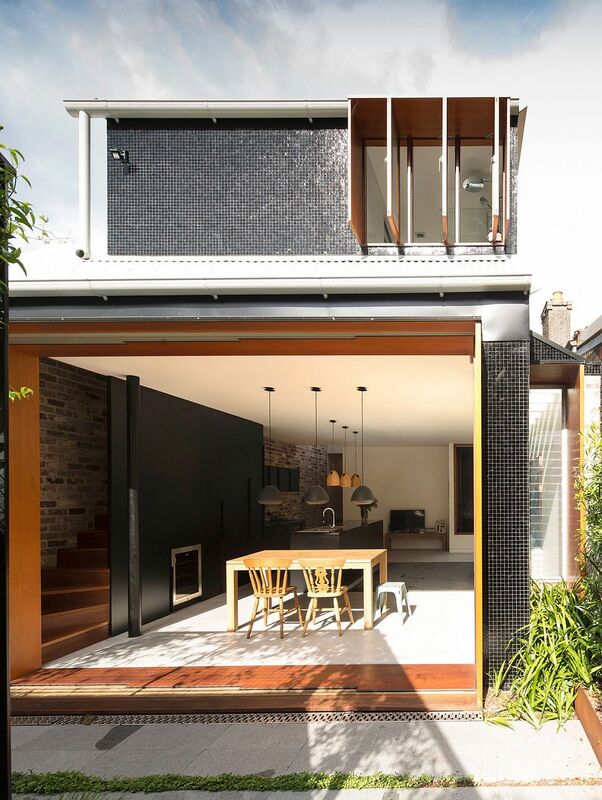 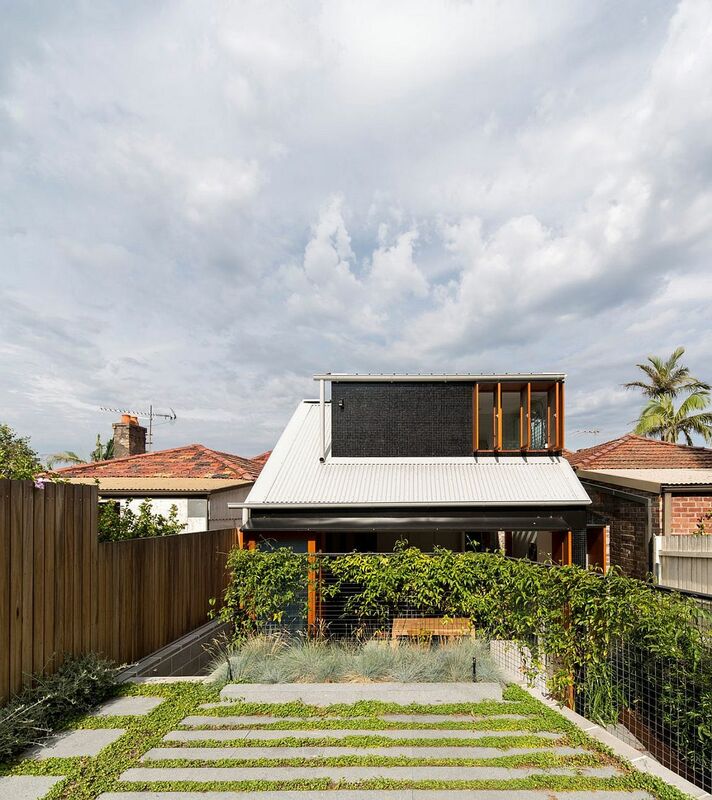 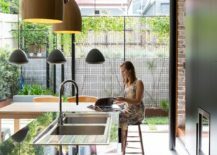 Locally sourced timber and reclaimed bricks coupled with a generous sprinkling of dark tiles and a concrete structure helped shape this distinct and stylish Sydney home. 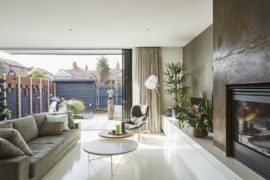 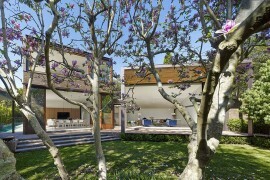 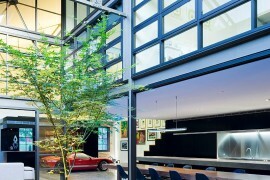 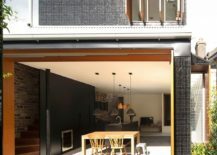 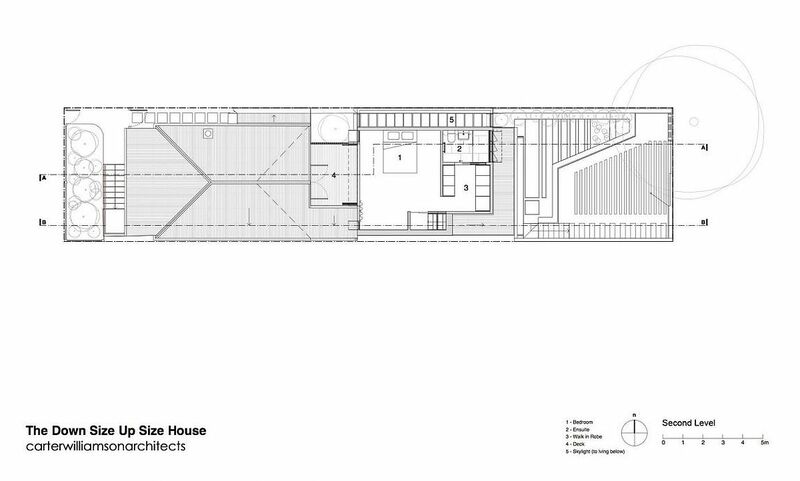 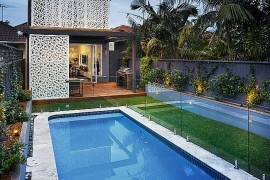 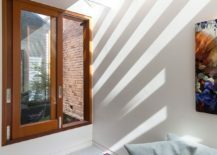 As is the norm with most contemporary homes these days, the open living area with the kitchen and dining zones opens up into the rear garden and offers unabated connectivity with the sights and sounds outside. 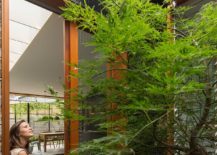 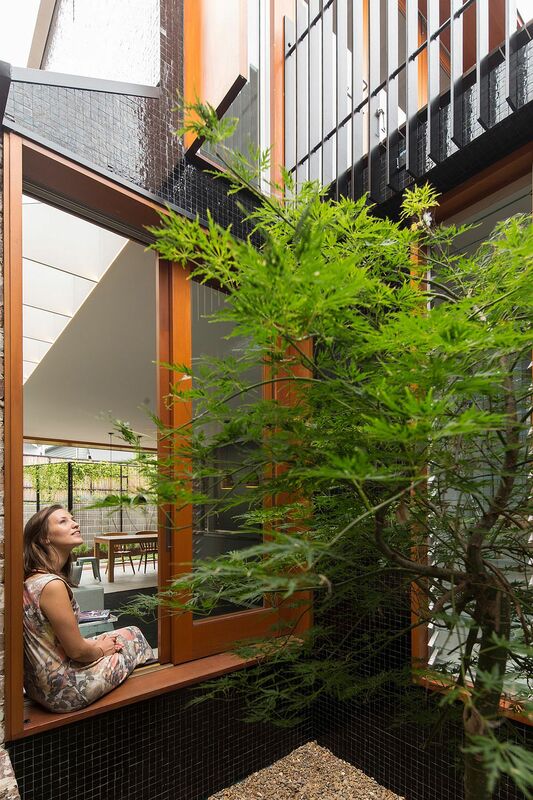 A cleverly placed Japanese maple tree graces the indoor courtyard and completes a relaxing reading zone that sits indoors. 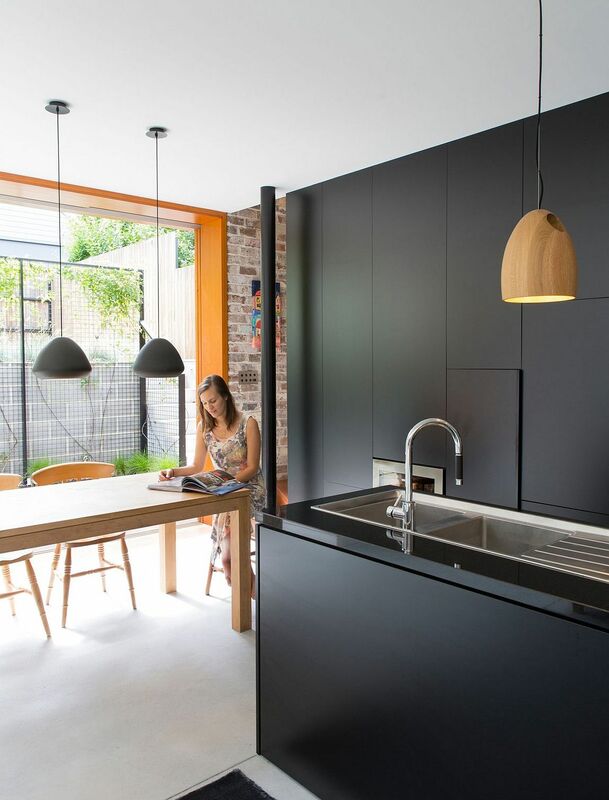 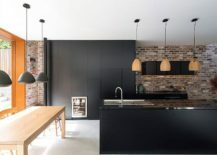 A dark kitchen island and black kitchen shelves with a glossy finish offer lovely visual contrast when combined with the exposed brick wall on one side and glass walls on the other.